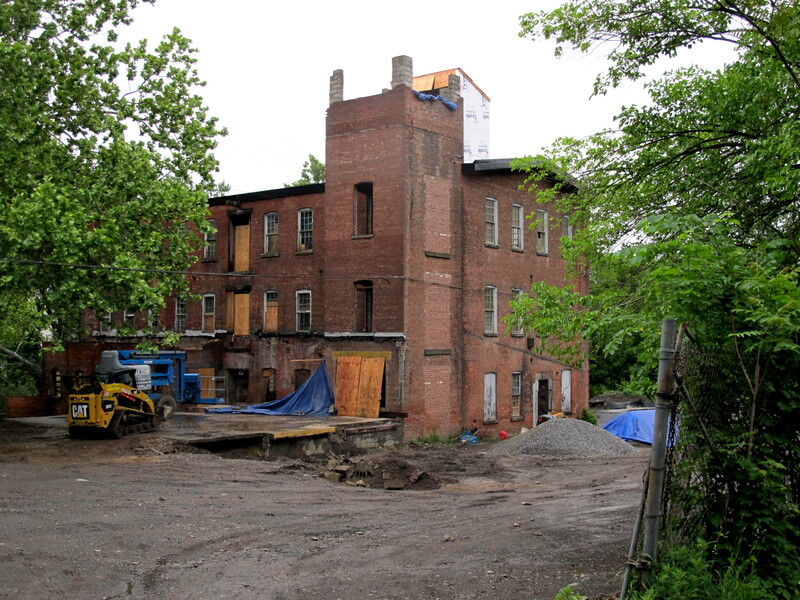 Feature photograph: A view of the existing factory building on Lot #2 from Creek Drive (the sign says Creek Rd.) It gets a tidy-up in preparation for being converted to 6 luxury loft apartments. More communication is obviously needed to the public.It seems there is an effort to get caucasian YUPPIES into Beacon. Beacon is such a beautifully DIVERSE community. Beacon should strive to keep/celebrate its diversity. Diversity is why Beacon is thriving compared to other towns in the immediate area. Homes are becoming way over priced for the space, acreage;Go for Affordable homes instead of mini mansions. The new lofts planned for example are way over priced for a working people’s town. The town was made by working people, kept going by working people should be a working people town in the future as well. Remember its the working people that keep the wheel moving the rich only funded when they make a profit.